Santa has plenty to offer radio programmers of all formats this season, and we’re just the elves to help deliver the goods. 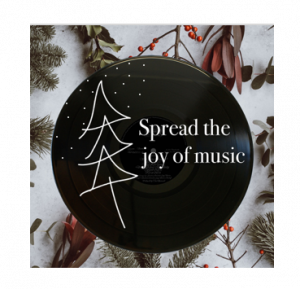 As you click and shop, prepare your Christmas crackers, spin your dreidels, or put cookies out for Rudolph, make sure you make time to scan the latest and greatest musical treats stuffing our stockings this season. Joining in on the holiday action are stars across all genres. 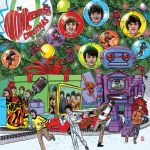 Los Straitjackets offer their Complete Christmas Songbook while Engelbert Humperdink chimes in with Warmest Christmas Wishes. 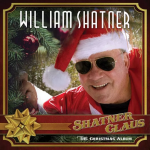 William Shatner & Henry Rollins have teamed up (because of course) to cover “Jingle Bells” on Shatner Claus. (FTW) Rollins joins fellow Shatner-duet participants Iggy Pop, Judy Collins, Brad Paisley, Yes’ Rick Wakeman and ZZ Top’s Billy Gibbons. The Beach Boys’ Mike Love gives us “Reason for the Season” just 54 years after the release of the Beach Boys’ Christmas Album. 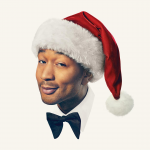 John Legend is going big and touring behind his A Legendary Christmas. Kicking off November 15th at the Ruth Eckerd Hall in Clearwater, Florida, the tour includes stops in Boston, Chicago, Atlanta, Denver, Seattle, Indianapolis, Salt Lake City, New York City, and Los Angeles. More holiday releases not to be missed this season include those from Ingrid Michaelson, Martina McBride, Michael Longoria, and the Mavericks. Head to your Player for the latest and greatest!